Habitat: Fairly common in most of England on light disturbed soils; gardens, arable and wasteland. Less frequent in Wales, Scotland and Ireland. 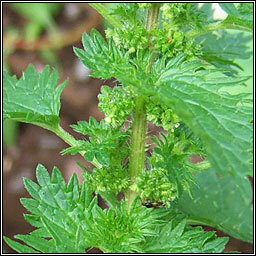 The yellow-green flowers are smaller than those of Common Nettle, not in long catkins and with male and female flowers on the same plant. 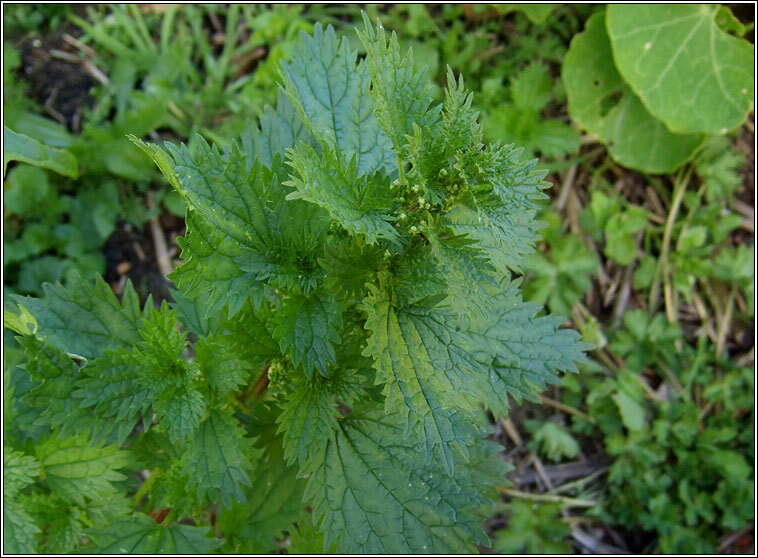 Light green leaves, deep-toothed, slightly hairy and covered with stinging hairs.